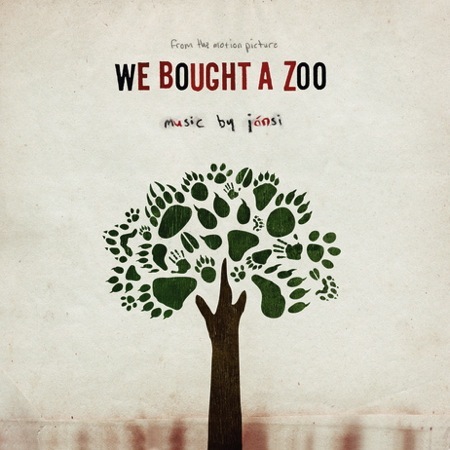 The Jónsi-penned soundtrack to Cameron Crowe’s new film We Bought A Zoo is out December 13th via Columbia Records. Right now at NPR.org, you can stream one of the soundtrack’s two original compositions, “Gathering Stories”, which was co-written by Crowe himself. The other original composition is titled “AEvin Endar”, with the rest of the tracklist featuring various themes and reworkings of songs from Jónsis 2010 solo album Go, the Sigur Rós track Hoppipolla, and orchestral arrangements by Jónsis longtime collaborator Nico JoMuhly. Check out the tracklist below. We Bought A Zoo, the film, hits theaters on December 23rd. Video: Sonic Youth's final show ever?